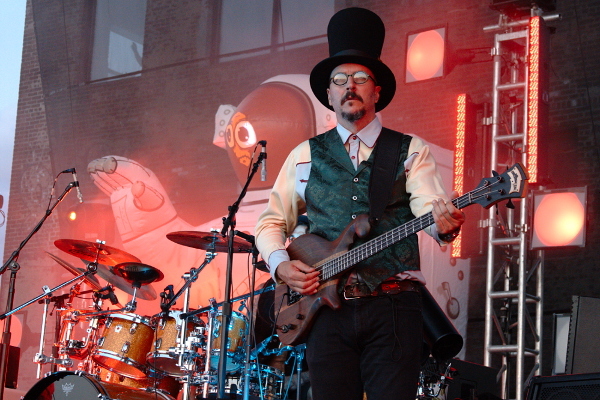 Everything tagged with "Williamsburg Waterfront"
I was amazed how much crowd surfing was going on during Primus's set. They never struck me as that kind of band. They're loud, but not like a metal or punk band. A lot of their songs are kind of slow and sludgy. So why were the security guys so busy from song #1? Perhaps the heat, or maybe the fact that it was an all-ages show? Crazy, crazy stuff.